Dinner and a movie still make for the best date night. Add that personal, playful touch by arranging it at home. Just in time for your essential Valentine’s Day Netflix-and-chill session, here are 5 movies you can watch while you cuddle up with your lover. Order in a heart-shaped pizza from Papa John’s and the night is set! The Princess Bride –of the same name by William Goldman. 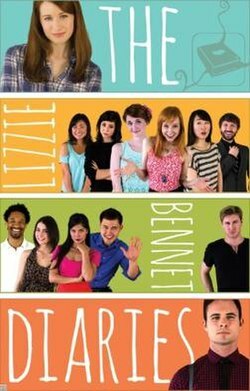 The Lizzie Bennet Diaries– Ok, so this one’s not on Netflix, it’s on Youtube, so cast it to your TV some other way. It’s won a TON of Emmy’s for its brilliant take on Austen’s Pride and Prejudice. TLBD takes on Austen’s novel in 4-minute Youtube videos, making for a refreshingly relevant take on an all time classic. This entry was posted in Holiday, Literature, Movie, Uncategorized. Bookmark the permalink.